Whilst the clinic was a group programme, the dynamics of the participants also enabled time to be spent on individual team training. 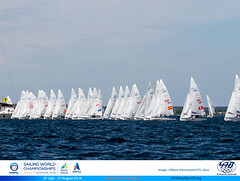 The primary focus was to prepare the crew for the Junior World Championships, including familiarity with the racing area and weather conditions. With 19 teams taking part in the clinic, the first clinic of 2009 was a huge challenge and also a huge success. The 470 Internationale covered all costs, including meals for the participants each day.The popularity of the clinic was evident with an additional 14 crews turning up to join the end of clinic regatta. The International 470 Class covered the costs for the sailors’ participation, including coaching fees, lunch and technical material required. “I am really inspired with the broad spread of nations coming into the 470 Class in this post-Olympic year and particularly from the eastern European countries, where there is a real talent for sailing. Coaching and financial support are vital to enable the sailors to realize their potential and the International 470 Class is proud to be partnering with these sailors and nations.” commented Stanislav Kassarov, President of the International 470 Class. 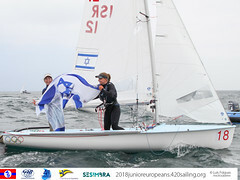 All sailors competing in the 470 Junior World Championship were eligible to apply for the 2009 470 Junior Coaching Clinic, with the exception of those sailors who were in the top 60 in the men’s and top 30 in the women’s ISAF Sailing World Rankings. 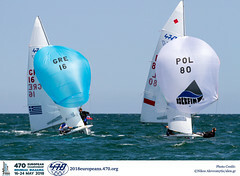 The International 470 Class were selective in the sailors chosen for the clinic, aiming to support sailors committed to participation in the 470 Class and with a clear campaign path throughout 2009.